This year’s Anniversary Ball is taking place on Saturday 24th November 2018 at the Hilton Birmingham Metropole and we are pleased to announce our line-up for the event over the next few days – keep checking back for more artist announcements!! If you would like to come along and support Get A-Head, a table for 10 is £900 (individual/additional tickets are £90 each). Tickets are available from the office on 0121 794 9596 or by emailing info@getahead.org.uk. Please secure your table as soon as possible, with a line-up like this tickets won’t be around for long. This really is a night not to be missed! 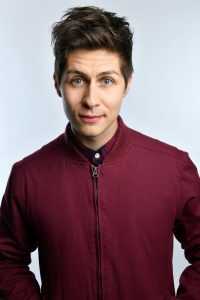 Following his fantastic successful appearance as host for our Variety Ball in 2016 and our Celtic Ball in 2017, Ben returns to host our Anniversary Ball for us. Ben hails from Birmingham and over the last ten years he has been performing his sleight of hand and stage magic at events all over the UK and the world. Ben has performed at all sorts of functions from close-up intimate shows to large scale stage tricks and illusions. His warm, cheeky style makes him an instant hit wherever he performs! Since then Ben has written and starred in his own TV show, Tricked and feature in many other TV productions. He has also hosted his own radio show on Capital FM and been involved in many live theatre productions. 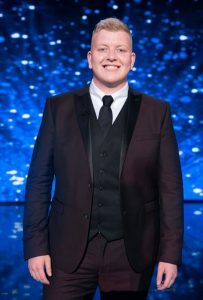 Gruffydd has recently seen success as a finalist on the globally renowned talent show ‘Britain’s Got Talent’, where he received Amanda Holden’s Golden Buzzer and narrowly missed out on a place on the podium. Since forming, The RPJ Band has successfully established its reputation as the number one event band in the UK and Europe. Rick Parfitt Jnr is joined by some of the best session musicians in the country, all of which tour with major artists and together over the last 10 years they have set the benchmark as the best, most engaging, uplifting, foot stomping hands in the air rock band to ever grace the corporate market. The band has played over 500 concerts to over 1 million people, from ‘BBC Sports Personality of The Year’ through to headlining the Formula 1 main stage 3 times and countless Celebrity clients the band have also played all over the world alongside some of the biggest names in music, including The Script, Status Quo, Spandau Ballet, …and many more! 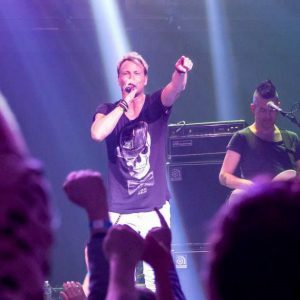 RPJ play headline sets at festivals and are equally at ease playing intimate private gigs … their trademark sheer energy is always infectious whether they are playing to 100 or 100,000 people! This band turns any event into a full-blown stadium concert. In Short …They Rock! 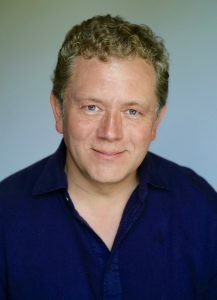 Jon Culshaw is warmly regarded by many as Britain’s best impressionist with a catalogue of over 350 voices and impersonations including Boris Johnson, Donald Trump, Professor Brian Cox, Barack Obama, Alan Carr, John Bishop and Michael McIntyre. His multiple TV credits include Spitting Image, The Impressionable Jon Culshaw, The Royal Variety Performance, and ITV2’s animated topical sketch show Newzoids. The man of many voices can also be heard on radio, having starred on The Now Show and The Secret World as well as the hugely successful BBC Radio 4 comedy Dead Ringers, which is now in its 18th series. A lifelong astronomy enthusiast, Jon was a part of the team on the world’s longest-running programme, The Sky at Night, first appearing with Sir Patrick Moore on the show’s 50th anniversary. As a self-confessed Doctor Who fan, Jon is responsible for voicing many of the audiobooks, with frighteningly accurate Tom Bakers and Jon Pertwees. Jon is in the middle of his UK tour ‘Great British Take Off’ with Dead Ringers producer, Bill Dare, which sees them perform an evening of unscripted, unrehearsed, spontaneous comedy and conversation as politicians, sports personalities and celebrities old and new are all up for a roasting!